You already knew Detroit could bring it when it comes to bars, what with places like these and these (we have our share of reasons to drink), but there are also many fine watering holes throughout the rest of Michigan. Some of them are even right on the actual water. Here are the 10 best places to imbibe when you're outside the Motor City. *Note: for categorical purposes, we’ve excluded brewpubs and microbreweries. This list belongs to places that don’t necessarily make their own, but do a great job serving it. 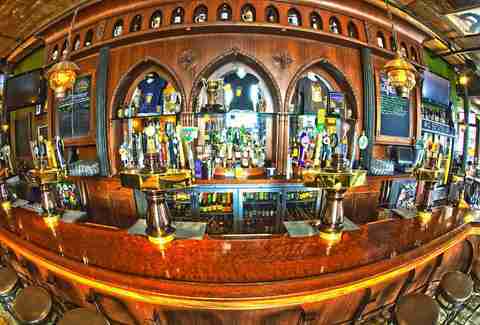 HopCat isn’t just one of the best bars outside of Detroit. 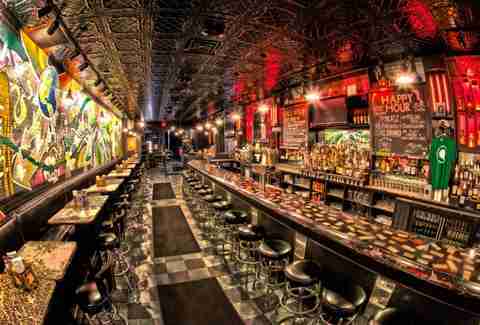 It’s one of (if not THE) best craft beer bars in the country. The Grand Rapids institution (which has also spawned an East Lansing outpost) is home to 48 taps deep with local goodness along with the best of elsewhere. Oh, and their Crack Fries are self explanatory. You should also know that HopCat is slated to open its Detroit location sometime this Fall, which isn’t nearly soon enough. You’ll never run out of something new to try at Ashley’s. Many a Michigan Wolverine has discovered (more accurately “Columbused”) a new favorite beer here, thanks to the ever-changing selection of 72 taps of suds from far off, exotic places like the UK, Germany, or... the Pacific Northwest! 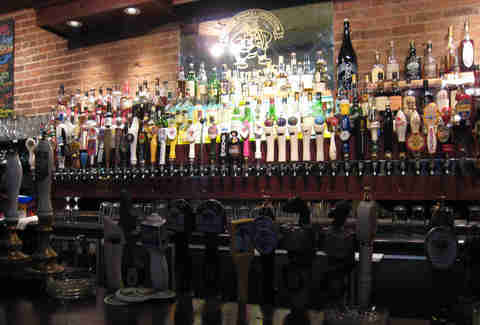 Of course, Michigan brews are plentiful as well, as is bar food like their Philly cheesesteak poutine. Michigan makes a lot of good booze -- beer, wine, whiskey, vodka, etc. The Mitten Bar, a sort of beer garden/wine bar/music venue hybrid, serves all of these things, and we'll be damned if there's anything better than sipping on Michigan-made goodness while you’re up North near the shores of Lake Michigan. 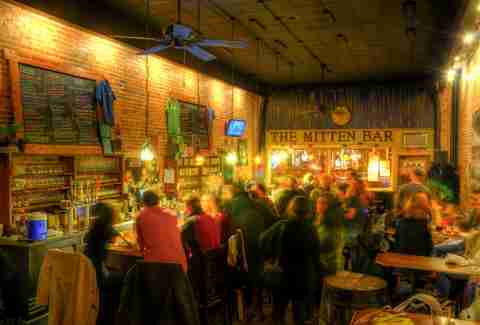 If you like this state, you’ll like the Mitten Bar. The quick facts on One-Eyed Betty’s: 44 rotating craft beer handles, two soda pop handles, draft Champagne, and more whiskeys, bourbons, Scotches, and moonshines than you can shake a suddenly not-that-coordinated finger at. If that’s not enough (and it should be), they also have a killer pinball collection. There’s a lot to love about Stella’s: the plentiful Short’s, Bell’s, and Founders on draft; the 200+ whiskeys always served with a 2oz pour; the celebrated burgers; and of course, the old-school arcade games. Hands down the best place to play some Sega, eat a burger, and drink until those things become more challenging. Bonus: they've got vegetarian and vegan food that isn’t just salad or a Boca burger. 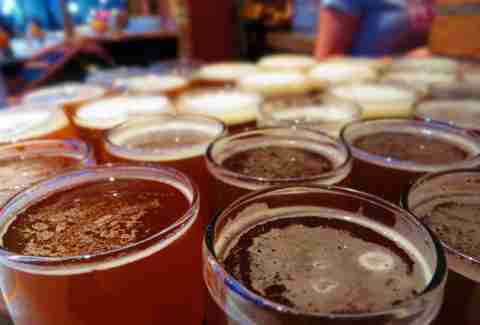 The Beer Exchange is a market-savvy beer enthusiast’s heaven. 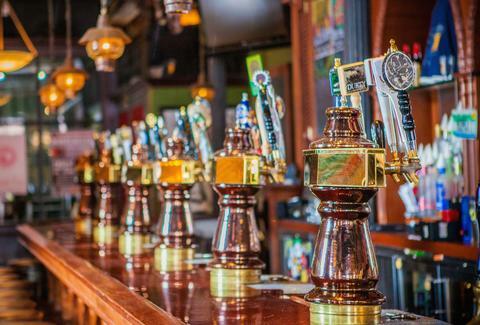 The prices for their 28 draft beers are always changing based on supply and demand (you know, like the stock market), which results in an "ever-evolving" happy hour. Daily market crashes are also wont to occur, so you never know when it’s time to BUY! BUY! BUY! 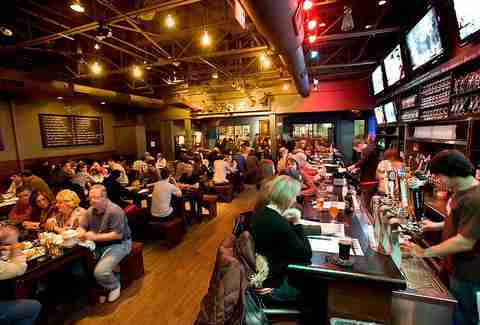 If you like trivia but hate how it isn’t directly related to drinking, try the Beer Exchange. 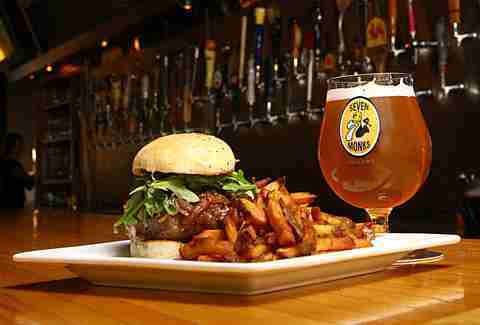 Crunchy’s bills itself as East Lansing’s original craft beer bar, and with microbrews from Frankenmuth, Bay City, Grand Haven, and other, bigger cities, their beer menu doesn’t disappoint. 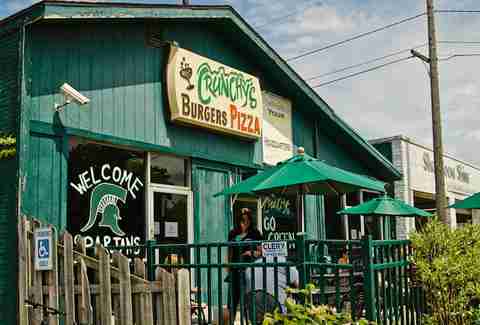 If you’re in Spartan country and in need of a good Michigan brew, karaoke, trivia, or some deep-dish pizza, Crunchy’s is the place. Those monks sure know how to craft some tasty brews, and there’s no better place to get your hands on some genuine Trappist beer than 7 Monks. The 46 rotating taps are always bringing in a fine balance of deep-cut Belgians and American craft offerings. As far as food goes, be ready for stone-baked pizzas like chorizo bolognese and the always interesting Slider of the Week (think achiote pork with pickled onions and hoisin aioli). The U.P. 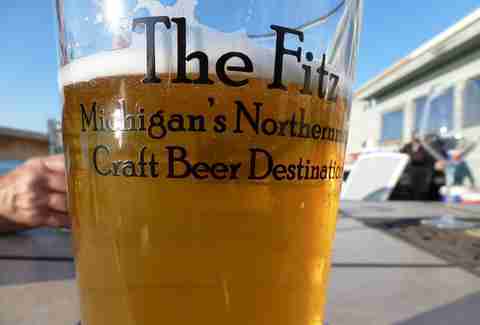 is home to plenty of great microbreweries, but you won’t find a better yooper multitap than the Fitz. Self-proclaimed restaurant-ness notwithstanding, the 100+ beers on tap and 90+ whiskeys make it a perfectly worthwhile destination for those looking to simply imbibe on the mighty Keweenaw Peninsula. Of course, it also has Lake Superior in its backyard, which makes for a fine backdrop for just about anything, but especially some Michigan craft beer. Sometimes what a Michigan Summer really calls for is a huge amount of sweet, sweet liquor blended in a giant container to make something like a Tijuana Taxi or a Jamaican Ten Speed. 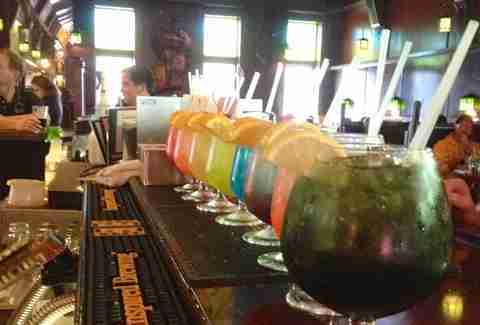 That’s what the Ambassador is best known for with their famous 25oz fish bowls. Of course, the imported beer selection is suitable too, and with Keweenaw beer on tap, it’s one of the finest watering holes the U.P. has to offer.